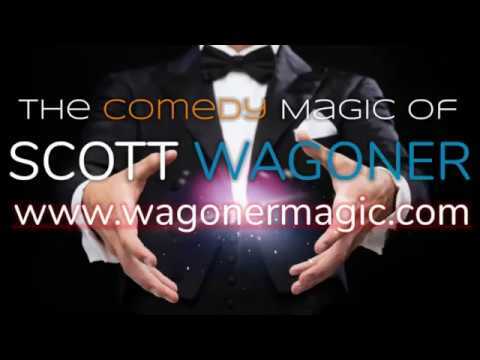 Scott Wagoner helps corporations and individuals make their events magical and memorable with unique programs consisting of Magic, Comedy and Audience Participation. His magic is hilariously entertaining, while at the same time respectful to those on stage. 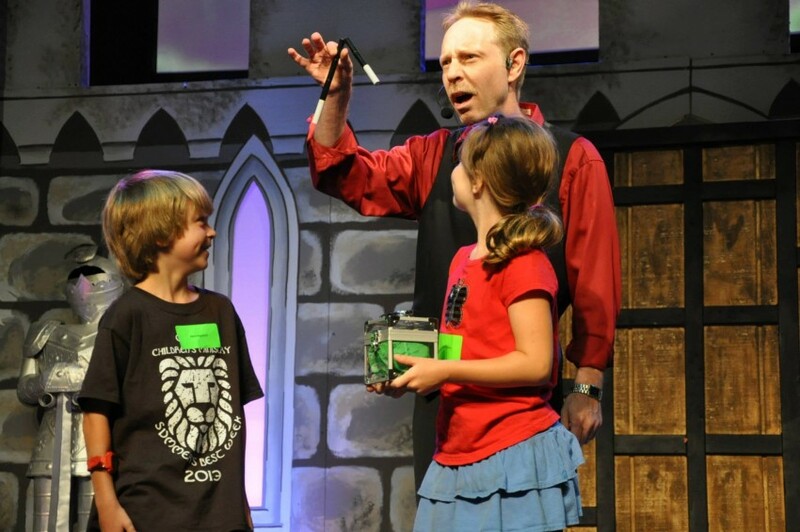 Your guests are the stars of the show and Scott makes them shine as they experience a wide variety of amazing magic. Whether he is making silver dollars appear from thin air, producing a volunteer’s $100 bill from a lemon or astounding your audience with some other magical feat, Scott’s goal is to make you look good by presenting a show everyone will enjoy and remember for a long time to come! If you’re thinking of hiring Scott Wagoner, do it! We had him entertain about 20 kids for my son’s 6th birthday party. The kids and adults equally enjoyed the show. He doesn’t require you to provide anything but space and he really doesn’t need much of that. Wonderful and funny show. Really great magic. I was worried it would be corny but even the adults were entranced. I wish I could leave more than 5 stars because he deserve at least double! Thank you so much Leah! We all had such a magical time. It was a pleasure entertaining such a nice group. I hired Scott Wagoner for my daughter's 8th birthday party. He did a fantastic job of entertaining both the kids and the adults! He did a great job of involving not only my daughter, but also many of the other kids in the show. I would highly recommend him to anyone looking for a magician. Scott Wagoner was on time and the show was age appropriate for my children and my guest. He also made the show very interactive and the children were so impressed with the tricks (especially making the birthday child float)! I would definitely recommend him to others. I hired Scott to perform at my daughter's 5th birthday party. Even before the show I was impressed by his professionalism. He promptly answered emails and even called prior to the party date to confirm logistics. At the party he kept everyone entertained, from the 2-year-olds right up to the parents. He kept the show age-appropriate and involved the children, which they enjoyed. I had several people ask where I found him. Overall, great experience and worth every penny! He made everyone smile ear to ear the kids loved him and the parents thought he was the great. Thank you Scott for your amazing show and talent, Connor loved it and was honored to work with you. Scott Wagoner is by far the greatest magician I have ever seen, and one of the best entertainers I have ever encountered. His magic is tailored to the audience he is performing for, and he has something for everyone. The children will be amazed, but the whole family will enjoy his creative magic style. I will definitely hire him again and he would be a bargain at twice the price! The kids were fully engaged the whole time. This party was for two of my three kids 7 and 5 and all ages seemed to enjoy the show. Thank you for such a great birthday! Our kids had looks of sheer delight for the whole hour. Scott is a pro; the tricks were perfectly executed, and he knew exactly how to entertain children of all ages as well as us adults. I'd have him out again in a heartbeat! Scott made the cub camp Magical! The scouts thoroughly enjoyed the show. The were captivated and participated with smiles and laughter. Well worth the booking! SCOTT DID A FANTASTIC JOB! HE MADE THE CHILDREN FEEL AS THOUGH THEY WERE PART OF THE ACT AND ALSO KEPT THE ADULTS FULLY ENTERTAINED. HE MADE A FAMILY GET-TOGETHER A SUCCESS. THANKS SCOTT! Best grand opening for our business! Money well spent! I hired Scott Wagoner three years ago to lead our grand opening festivities. I was fortunate to have him at our location that day. I truly believe that his corporate magic and entertainment show made all the difference for us. We are still in business even today. I would not be surprised if he left a long impression on the folks who came by for our grand opening due to his fun, and audience engaging show. I know he left and positive impression on me that day. Between his high skill level of both entertaining and motivational skills, and having a very professional and friendly attitude, I would recommend him for any of your corporate and/or children’s parties, corporate and school motivational functions, and other events where you need to impress your customers, employees, friends and help motivate others. You will not be disappointed. Money well spent!!! I took my son to a birthday party at the home of one of his classmates. This was a party for 6 year olds. Scott's performance was so engaging for the children. I was pleasantly surprised, however, at how much I enjoyed it, as well. He managed to keep the children engaged, even as energetic as they all were. His sense of humor was able to pull the adults in without being too much for the children. I highly recommend Scott for any event, for children OR adults. Wonderful experience! My wife and I have hired Scott Wagoner twice. The first time was for our wedding, where he put on two "shows". His first was as people waited for the ceremony to start. He mingled with the crowd doing various slight of hand tricks and illusions, which all our guests throughly enjoyed. His second show was during the reception dinner, where he put on a big bit that was very high quality, and again all our guests were delighted. The second time we hired him was for our oldest daughters 5th birthday party. He put on a show that delighted both the kids and the adults (it was quite remarkable to see a room full of kids 4-7 years old sitting so still and quite). We whole heartedly recommend his services, his illusions are excellent and his act is most delightful. Though I don't know when we will get the opportunity to do so we will certainly consider hiring him again. When you book Scott, you can rest assured you will get a program your entire group will enjoy. Scott has helped thousands of event planners make their important events extraordinary! He personally GUARANTEES that YOU will look good, your guests will laugh out loud, be actively involved, and thoroughly entertained! 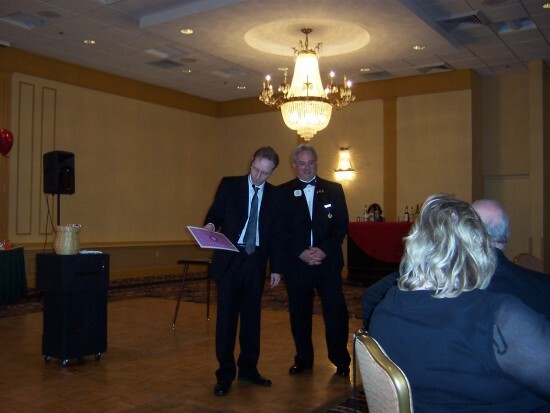 Scott Wagoner is the magician of renown in Virginia. Since 1986, Scott has been entertaining audiences at festivals, schools, corporate events, theaters and on television. His magical talents are quite diverse and include every aspect of the magical arts: stage illusions, close up magic, comedy and almost everything in between! A hit with the largest of audiences, Scott's show played to capacity crowds at Paramount's Kings Dominion for 5 consecutive seasons. In 1996 aboard the U.S.S. Theodore Roosevelt, a crowd of over 5000 watched as Scott performed his full illusion show. A small raised stage is recommended for all audiences over 100 people. However in some cases can still be performed without. The stage can be the smallest rectangular shape possible. A standard 8.5' x 11' and 10" high with a single set of steps leading off the center of the stage into the audience is ideal. Steps on the ends of the stage can slow the program down unnecessarily. For smaller groups a dance floor or any area everyone can see will work as well. For larger groups, 100 or more, there should not be any empty space between the riser and the audience. Dance floors set between the audience and the performer when an audience is this size makes it very hard for the performer to connect. If the room is rectangular, position the stage in the middle of the long side of the rectangle. In that position, as opposed to one end of the room, almost all of the tables in the room are much closer to the stage. Sound is provided by the performer.